Sister and I grew up showing cattle and lambs. Mom and Dad raised and sold club calves for many years, so we usually showed our own calves too. It is fun to have the majority of County Fair Division Champions and Reserves all sharing the same ranch brand. I showed the Reserve Steer at the 1998 NE State Fair. My Grandpa exhibited 2 Reserve Champion NE State Fair Steers. That is awesome. Loved seeing our ranch brand on them too! Have a great werkend too! 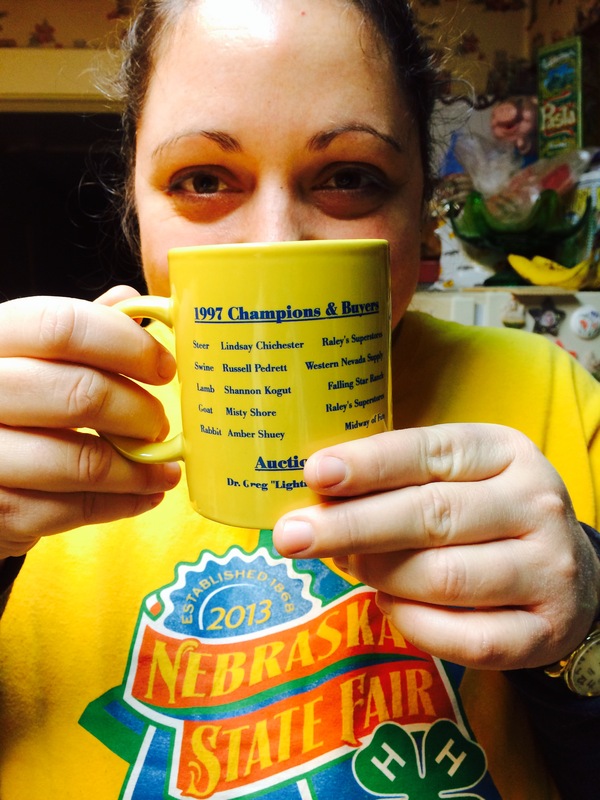 It’s fun that you have a mug that you can actually use – either instead of or in addition to a trophy! It’s a daily dose of good memories. It is! I used to love getting things that were useful (ie: halters, combs, show sticks, chairs). The trophies and plaques are fun, but now they are boxed up.